…and need to be removed from pertinent Wikipedia pages ASAP. Why? Because he has a clear anti-Hungarian bias and agenda. Tonight, while I was lost in a Wikipedia hole about Hungarian history, I came across some of Thomas Hodgkin’s thoughts on Hungarian language and anthropology from 1892, printed as gospel on the Wikipedia page. Not the famous British scientist mind you, but his nephew, who was a Quaker minister and banker. Just like his uncle, Hodgkin’s hobby was also that of an armchair historian. The writings of both Hodgkins were trusted, printed and widely circulated. Besides being outright offensive, this is a false equivalence. The Hungarian traditions Hodgkin writes of were written by Hungarian scholars and writers living in Hungary, in the Carpathian Basin, where Atilla the Hun had a capital city. One of the texts in question, the medieval Gesta Hungarorum, was written in the 12th century, incorporated oral history motifs and made mention of minstrels rhymes and tales from peasants. The book of Mormon claiming ancestry with the Jews was written in the late 1800’s, in America, by a wealthy man who had visions in his backyard. They are not the same thing. Hodgkin dismisses Hungarian traditions in his book because, he says, most were written 500+ years after Attila existed. His reasoning is people could have embellished stories, and this makes their tales problematic and unfit to be used. Fine. I understand this. The same argument can be used on Christianity too but whatever. However, reading further, Hodgkin was more keen to entertain stories of Attila, also written 500 years later, if they came from countries that were not Hungary, but say France or Norway. Wait, so Hodgkin thinks texts written about a person by people living where said person lived are not to be trusted or considered, at all? He summarizes Priscus’ detailed account of ambassadors from Constantinople traveling to meet Attila. They have to go through what Hodgkin calls the “recesses of Hungary,” to “meeting in a dingy little village in Hungary” to get to Attila’s palace. 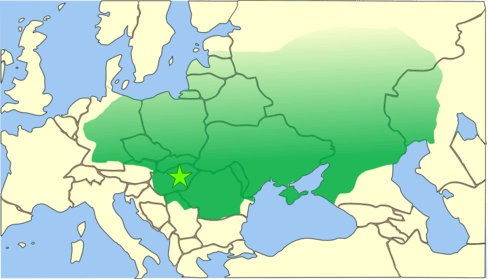 For more than 2,000 years, the Great Hungarian Plain (known as the Alföld in Hungarian) has been home to a rich cultural tradition of pastoral living and animal husbandry techniques – from ancient nomadic tribes who left behind stone burial mounds known as kurgans, to the fierce Magyar warriors who arrived in the late 9th Century and founded a network of settlements along the Tisza River. TL;DR: Historian Thomas Hodgkin clearly hates Hungary, as evident by how he describes the country, and dismisses all texts written by Hungarians. Maybe a Hungarian woman was mean to him once?